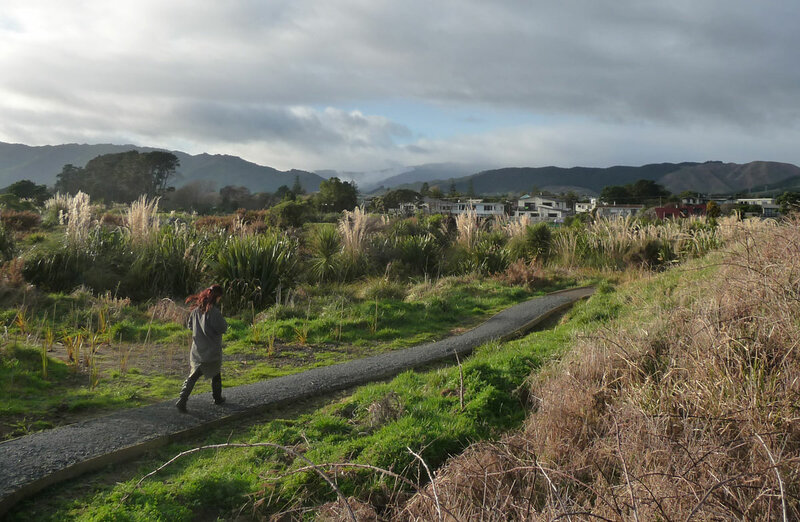 Waikanae Estuary provides native habitat and a safe corridor for wildlife moving between the mountains, river, and sea. 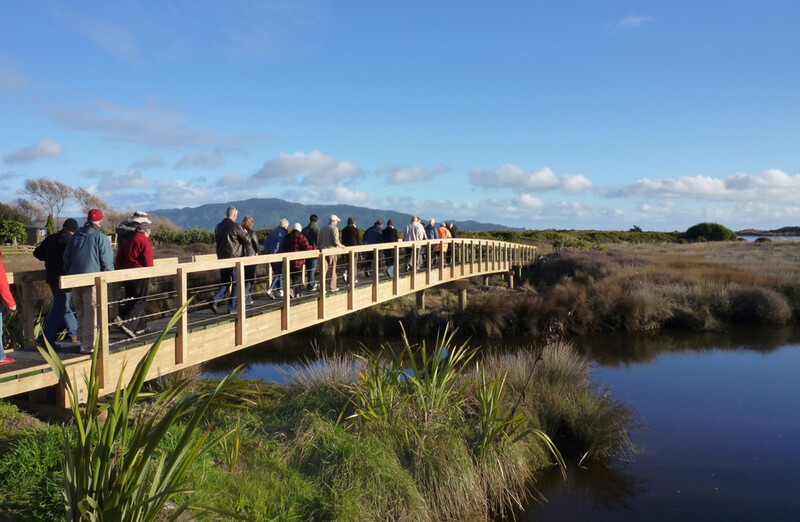 This nationally-significant reserve protects a natural mosaic of freshwater lakelets, saltwater lagoons and marshes, tidal sand flats and sandy beach at the mouth of the Waikanae River. The river and estuary is a tidal home and airport to a variety of waders and sea birds. More than 60 species of birds breed there, including banded dotterel, pukeko, dabchick, and variable oystercatcher. They occupy the sandspit where the river affords some protection from the increasing numbers of cats, ferrets, dogs and trail bikes on the other side of the reserve. Flocks of white-fronted terns, shags, gulls and penguins roost on land but rely on the sea for small fish and shrimps. Domestic travellers - such as wrybills and black-fronted terns from Canterbury - stop over, as do the international migratory birds, such as godwits and knots from Siberia. Royal spoonbills have nested on Kapiti Island since the early 1990s, and they regularly visit to feed in the shallow waters of the estuary.The birds depend upon the constant movement of the river and the tide which opens up twice a day to reveal a feast of worms, shellfish and crabs. If the river and sand is stabilised too much these intertidal flats will dry out, forcing the birds to leave. As a part of their life cycle many native fish species require both freshwater and saltwater. For example, galaxiids maturing in the freshwater, spawn in the inter-tidal zone and their young go out to sea to return as whitebait. Eels mature in the river, go out to sea to spawn and return as transparent glass eels. Five species of galaxiid fish make up the whitebait catch. The inanga, koaro and banded kokopu are the most common but the giant and short-jawed kokopu are rare. Modification of the catchment area, such as the removal of stream vegetation, urban development, increased sediment and pollutant levels, and obstructions to fish passage such as culverts have impacted on the fisheries values. Fish need unimpeded access from the marine environment to the upper catchment areas. Some species use the river as a highway, sometimes climbing huge waterfalls to reach their preferred habitat. Carpets of remuremu, Selliera radicans, grow in the firm mud along the waters of the estuary. They vary according to the flow of the river and the development of the wetland. The mosaic of tidal sandflats, sand dunes, salt marshes and lakelets provide a home for this and more vulnerable plants such as two regionally rare carex species. Many of these plants have disappeared because they are very sensitive to changes in water quality and introduction of weeds. 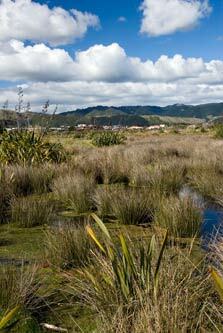 From the Tararua Range, the Waikanae River once flowed through dense forest which reached almost to the sea. At a point near the present railway bridge, the river split into two channels through swamp forest and salt marsh, meeting again at the dunes and lakelets of the estuary. Here they cut through sandhills, some 10 metres high. 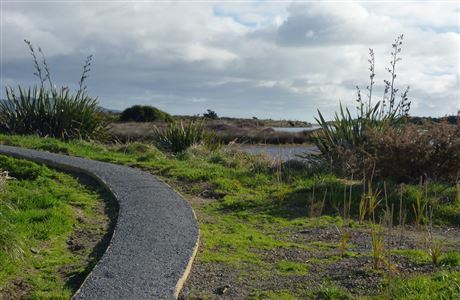 Middens, observation posts, pa and burial grounds are reminders of early Maori who moved through the area. Ngati Apa, Rangitane and Muaupokowere followed by Ngati Toa, Te Ati Awa and Ngati Raukawa. 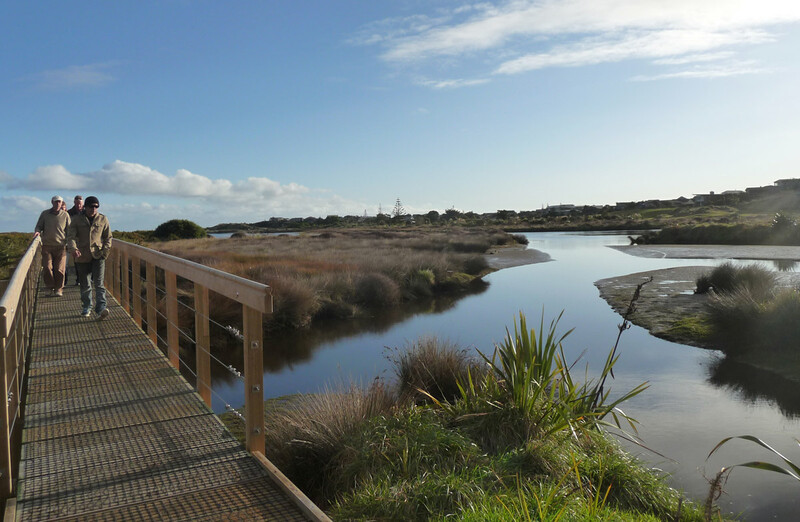 The estuary is the site of the 1839 Battle of Kuititanga where Te Ati Awa, who had established pa on both sides of the estuary, fought Ngati Raukawa, forcing them to flee to Otaki. 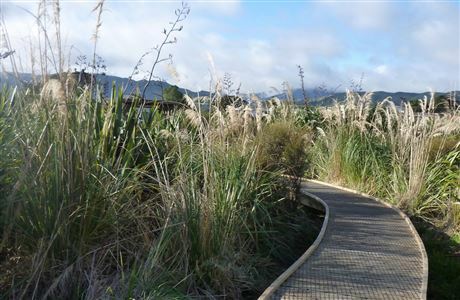 The area is sacred to the people of Te Ati Awa ki Whakarongotai who are tangata whenua of this area. In 1886 the Manawatu Railway opened the coast to more European settlement. Flaxmilling and farming settlements ripped away much of the coastal forest, exposing the river’s flanks to erosion. Since then, housing, flood protection, gravel extraction, stormwater, farm waste and industrial discharges have further diminished the power of the river. Since the 1960s, the land around the estuary has been transformed from a coastal wilderness to a densly populated urban area. 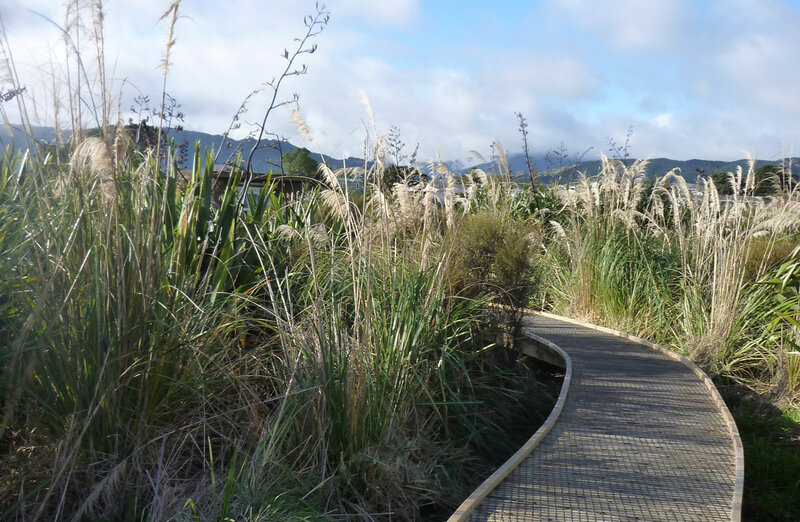 In the 1970s, the Waimeha Swamp was drained and blocked to create the Waimanu Lagoon and traditional whitebait spawning grounds were lost. Hundreds of residential sections were developed to the north of the river. 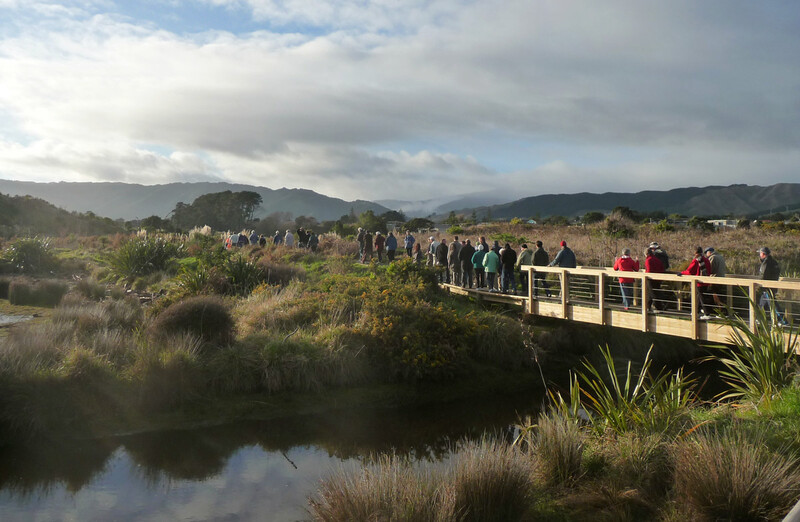 Conservationists helped to establish Waikanae Estuary Scientific Reserve in 1987 to protect the remaining area. In the 1990s, though, subdivision crept closer to the estuary, increasing the threats to wildlife from pets and disturbance by trail bikes. The Department of Conservation is embarking on an ecological restoration project for the estuary, complemented by the restoration work being undertaken by Waikanae Estuary Care Group, within the scientific reserve and on the adjacent Kapiti Coast District Council administered land.